Introduce this unit by reading a story about bees to your preschoolers. 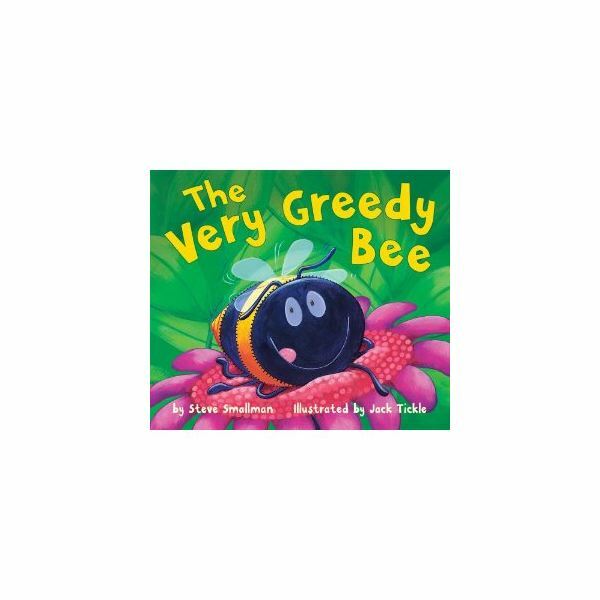 The Very Greedy Bee by Steve Smallman is a good choice. After reading and discussing the book, ask the children what they know about bees. Write down their ideas. If they are having a hard time thinking of things, ask them some questions to help guide their thinking. What kinds of animals are bees? Are bees helpful? Harmful? Both? Your students may not know the answers to all of these questions, but tell them that they will be learning these things and more about these fuzzy creatures in your bee unit. You can also write the poem on sentence strips and put it in a pocket chart after the children have learned it. Laminate five bee diecuts with the numbers from one to five on them. Have the children put them in the right order when they read the poem. Here are some bee facts to teach your preschoolers. Bees make honey. They are the only insects that make food that we eat. They use the honey to feed their babies and to eat during the winter. Bees also eat pollen from flowers. The queen bee is the leader of a beehive and the only one in the hive that lays eggs. There are also worker bees (female) and drones (male). Beekeepers raise bees for their honey. They use smoke to calm the bees so that they can gather honey or move a hive. Introduce your preschool students to the science of bees with an informative, age-appropriate book like Are You a Bee? by Judy Allen. Then plan a few fun science activities about beehives and the parts of a bee. Use your bee theme to teach you students about patterns. Show your students some pictures of bees with yellow and black stripes. Tell that we can see lots of patterns in nature. Ask if anyone can see the pattern in the bees' stripes. Give each group of students a basket of interlocking cubes and the students to make the pattern with the cubes: black, yellow, black, yellow. Ask if they can think of other animals with similar patterns such as black and white striped zebras or orange and black tigers. Have them create these patterns with the cubes also. Next give the children time to make two or three of their own patterns with the cubes. When they are finished, give each child a bee to color and have them choose their favorite of the patterns they made and color the bee's stripes in that pattern. Display the brightly patterned bees so that children can see each other's patterns. Teaching these concepts through this bee theme will help your preschoolers become more familiar with various subject areas in the curriculum as these activities can be adapted for a variety of lessons. Allen, Judy. Are You a Bee? Kingfisher, 2004.